Thank you for choosing Metal Garage Door & Gates in Pasadena for your garage door installation needs. We have specialized in superior garage door installation for 10 years. As a local company, our customers' satisfaction is what has made us successful. We have competitive prices, high service and product quality standards and fast response times out of respect for our Pasadena neighbors and because these are good business practices. It doesn't matter whether you have a Spanish style bungalow, a a neoclassical mansion, or arts and crafts bungalow - a beautiful garage door shows your personal style and accentuates the beauty of your home. Metal Garage Door & Gates will help you create the perfect garage door that will become an integral part of your home's façade, increase your safety/security and home value, and conserve energy. Our extensive selection of door styles includes modern, carriage house, raised panel, and specialty doors. Our designers will help you pick a door, and customize it from our selection of colors, materials, window options, insulation, and trim. At the end, you will have a garage door that is uniquely and perfectly yours. Contact our helpful and knowledgeable phone operators to schedule a free, in-home estimate with one of our experienced designers! Metal Garage Door & Gates understands that there is never a convenient time to have garage door problems, so we quickly take care of all of your emergency and non-emergency garage repair needs. Metal Garage Door has been in business locally for 10 years and we carry an extensive selection of dependable replacement parts to ensure that your garage is fixed the right way, the first time. What if your garage door is not working properly? -The door is stuck in a CLOSED position - You may be unable to leave for work or in an emergency, protect your vehicle, or access your possessions or work space. -The door malfunctions or makes unusual noises - The condition will likely deteriorate further and can become dangerous to people, pets or valuables. Metal Garage Door & Gates' technicians are chosen for their professionalism and ability to maintain, replace, refurbish and troubleshoot the complex mechanical, moving and aesthetic parts of your garage door. Our repair and maintenance services will lengthen the life of your garage door, protect your family, home and valuables, and avoid injuries caused by damaged doors or equipment. We gladly work on any brand of garage door equipment and provide comprehensive service to fix your garage door rollers, tracks, opener, panels, springs, remotes, belt, chain, windows, seals, sensor, or any other malfunctioning part. Call Metal Garage Door & Gates now for reliable 24/7 emergency garage door repairs and maintenance service.  Thank you for visiting Metal Garage Door & Gates for your gate installation and repair needs in Pasadena. We pride ourselves on providing high quality products and comprehensive service to every one of our valued customers. We carry an extensive selection of handcrafted electric, pedestrian, and manual gates to meet your lifestyle, budget and personal style. Metal Garage Door & Gates' technicians also provide regular maintenance, troubleshooting, and repairs on any type of gate system. We have unbeatable skill when your gate doors, hinges, tracks, keypad entry, motors, wheels, and belts, or chains need to be fixed. We understand what your gate provides, so our prices are competitive, and our fast response times make us the top choice for gate installation and service in Pasadena. Call our knowledgeable gate specialists to schedule a free quote or a speedy repair! The most advanced Liftmaster garage door opener that can perform smoothly and consistently even in the most extreme temperatures. Boasting of a unique and strong one-piece galvanized steel rail, it has a reduced friction and thus eliminates the need for constant lubrication. Equipped with a patented Motor Vibration Isolation System, the 3240 is the perfect choice for those who want to invest in the best. The 3280 is the smoothest Liftmaster garage door opener around. Equipped with a Motor Vibration Isolation System, it eliminates powerhead vibration and reduces noise. This is an excellent choice for those who have rooms positioned above their garage doors. The SilentMax is the smartly designed garage door opener for homeowners who want a steady but quiet performance. And with a lifetime motor and gearbox warranty, you never have to worry about Genie repair problems. So for all your garage door opener installation and repair needs, call us today at (800) 409-5038. Perfect for those custom solid wood garage doors, the 3595 is a dependable and powerful opener with ¾ horsepower strength. It is designed to lift the heaviest garage doors safely and smoothly. Thanks to its rugged I-beam rail and chassis support bracket, it has all the strength required for the job. Reliability and convenience rolled into one, the PowerLift 900 is a powerful but maintenance-free garage door opener. It comes with a direct drive screw technology as well as a Safe-T-Beam with a built-in self-diagnostic system. It also comes with a garage opener remote powered by an Auto Seek Dual Frequency System that ensures smooth operation regardless of nearby frequency interference.